Honey Hive Farms offers local Arizona honey from our farm and our local neighborhoods and organic farms. We offer beekeeping classes, farm tours, local raw honey, birthday parties and group meetings. We also sell bees and beekeeping products such as bee suits, gloves and hives, etc. 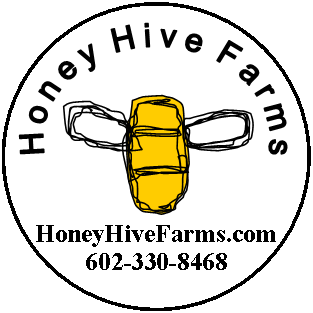 Let us help you with your local Arizona honey and beekeeping needs.